Alabama grad Lynne Ryan ('85) has extended an invitation to Greater New York Chapter members for an evening of pure dining pleasure at her first Chefs to Dine For dinner at Aureole New York. 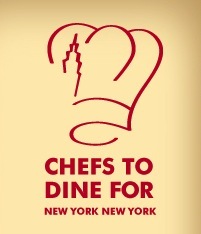 Chefs to Dine For is for people who are passionate about food and want to taste the latest dishes using local seasonal ingredients by NYC's finest chefs in an intimate dining environment. You will have the opportunity to meet renowned Chef and owner, Charlie Palmer, as well as his executive chef, pastry chef and wine director. Ryan has over 20 years of experience in the restaurant and hospitality industry, serving in executive and personal chef positions, as well as launching a catering business and a Zagat-rated restaurant. She is a graduate of the Culinary Institute of America and the University of Alabama and is married to Dr. Tim Ryan, the President of the Culinary Institute of America.